This strain produces a strong fruity skunk smell with intense flavour leaving a tasty after-taste. 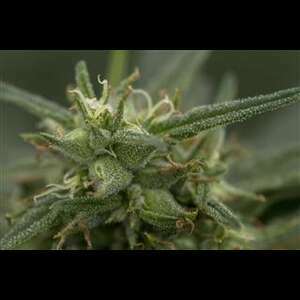 Fool's gold grows tall with sativa like traits,but with an indica dominant effect. With a short flowering time of 55 days and a large producer makes Fool's gold an ideal choice for everyone. The flowers on this amazing plant produces lot of resin with a strong effects which will please any experienced and novice alike.